Outstanding, much to read on the Vedic link. I will mirror this one when I get a chance, a lot going on right now. Sometimes I think I need to add a caviet to links. Sometimes they are a starting point or reference, not a definitive. 'Entertaining thoughts' as I often say. The Muslims have banned "Noah" because it offends their religious sensitivities, which is something Jews should accept without criticism because they would also ban any movie that would offend their religion, by which I mean, say, a movie that would depict the persecution and sufferings inflicted upon the likes of Zundel and Faurisson and which would expand upon their research and findings. They would not just refuse to run it but would subject its artistic creators to a world of pain. I may be showing my age, but "Zoom-pah, zoom-pah, zoom-pah, ding!" Kenny I just sent you an email. I have two imacs and lately the new trick is the screen freezes on both of them. One froze and I had to hard shut down. It would not come back on. I will have to set it up independently and see what happens, but you have to be able to log in to reprogram. I put this second one on line (I have two very expensive imacs) and it would not allow a log in. The block turned blue and that is your clue somebody is blocking it. I had Israel on the stat counter just before all of this. ? I am not going to say how I got back on line, it might make it easier for them to block it again. It just goes to show how they can shut anybody down anytime they want to very easily. I had been posting some things on the Ukraine and they most likely don't want any of this. Seems like the Ukraine gold may be headed out, the Russians are supposedly laying land mines outside Crimea and bringing troops in, Ukraine firing generals who were not on board, US troops moving around in Romania and much more. ??????????? This petition is in protest of Columbia College’s decision, following a student complaint about “bias,” to cancel one of the two sections of a course about the history of the Israeli-Palestinian conflict. The course is well grounded in fact and presents a diverse overview of Israeli/Palestinian history, including interviews with both Israelis and Palestinians. The class receives overwhelmingly positive evaluations by students, and many report having to wait to get in to the class. After registration opened last November, however, Columbia College removed its second section of the course only hours after it was posted. After Professor Chehade’s in-class screening of the Oscar-nominated film 5 Broken Cameras, which depicts life under and popular resistance to Israeli military occupation, a student complained about “bias.” Dr. Steven Corey, the chair of the Department of Humanities, History, and Social Sciences, then held a meeting with Professor Chehade informing him that he should address the subject matter in a more “balanced” way. I signed the petition, then was given the option of signing some more, which I declined, but it was interesting to see that a petition like this and some others, only had gathered a few hundred signers, but one about dogs was over 100,000. Yes, we Americans know what's important in life. The dog thing is understandable. Many people like dogs better than they do humans. One could spend years reading the literature now available that proves that the Bible is an anthology of misinformation, disinformation, plagiary, forgery, contradiction, absurdity, mythology and outright lies. I'm currently reading The Story Of Religious Controversy by Joseph McCabe, who was born in 1867, became a Franciscan monk at the age of nineteen, but became disgusted with his fellow monks and the Christian doctrine and left the priesthood for good on February 19, 1896. He died on January 10, 1955, at the age of eighty-seven. The epitaph he requested was: "He was a rebel to his last day." Then there is the lovely Garden of Eden -- quite plainly, we now know, the Babylonian Edin or plain -- and the ghastly story of the curse of the whole human race for the sin of two people. It is a Babylonian story; and the Hindus, Egyptians, and others had the same story. As to Noah and the Flood, I imagine that every theologian in the world has thrown up the sponge on that wonderful specimen of early man's idea of what a God might do. It is all in the Babylonian tablets, even down to such details as the sending out of the dove and the raven and the resting of the ark on a high mountain. Many thanks again for the links and commentary. It's an amazing subject on how all these things came to be. We may never get to the entire truth. Yes Davy, that's a fair statement on an important goal. 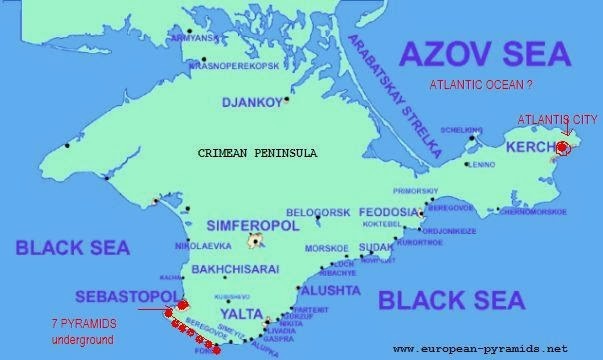 The notion of Crimean pyramids being an important part of the mix here is one that would be laughed at by most normal people.........a damning indictment of our civilization. In our lifetimes, we have seen the Vietnam war and its spread to Cambodia and Laos. Those areas were rich with history, preserved in ancient cities which showed clear links between ancient civilizations. Many Americans should burn in Hell for what they did to those people and their heritage. Central America, had Americans assaulting Nicaragua, Guatemala and El Salvador. Mexico is just getting started. Colombia also is being destroyed and looted. The first round of book burning and gold looting by Spanish in that area was just the start of a long campaign that is ongoing. The destruction of history. Of course the French and British destruction of north American first nations people also was calculated to destroy the historical record. Things not destroyed were 'saved' by scientific organizations (or the Vatican, or various Royal families) who then disappear them, like the Smithsonian with giants. Iraq, Afghanistan and several north African countries all rich in world history, are all under systematic attack. Crimea would just be one more case, and I suppose the Bosnian conflict needs the same lens applied to it too? As for Noah. More Hollywood poison, and as you say Ken, the calculated controversy will help sell more tickets to dumb Americans and smart Canadians too. 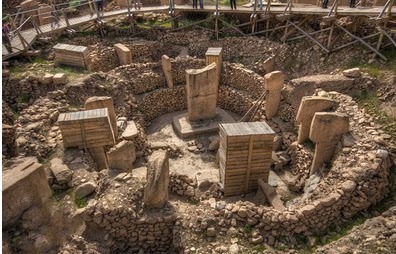 One of my first reactions on hearing about Gobekli Tepe (years ago) was why the hell aren't we putting several million dollars (and more) up to get a thousand archeologists with tooth brushes and mini trowels in there to figure this out? I think Mick made a very clear statement about this a week or so ago too. Sure, put grampa Simpson in charge of the whole area and give him free beer and a shovel to sort it all out.....not a verbatim quote! The extent to which vital world history is being systematically denied to us, and destroyed, is tragic. Our time is well spent trying to learn as much as possible about it while we still can. I agree. Much of the history we need to know is being denied to us and destroyed. Look at Iraq. What may we have lost there? Money for killing but not to save our past or present. Jobs for archeologists and students would go a long way but as with so many things, not a priority. Great article. I kind of knew of the Gilgamesh story but not the others. When I was young and in school we were learning about the hydrological cycle and the amount of water on earth remaining constant. I had heard some story about raining 40 days and 40 nights I asked the teacher where did the water come from and where did it go? She got irritated and something about not confusing science stuff with the truth. I think the same way when I see stories about the global water shortage we about to get. I do believe they are going to control access to it and poison the rest (see fracking, oil/gas pipelines, and discharge into rivers) but there can't be a shortage. Anyway, how could you know there was a "global flood" anyway? Its not like people communicated across continents in real time. And hollywood will figure a way to feed the lions and other meat eaters while hanging out in the arc (40 days) without ruining the two of each species story. An engineered water shortage/control is most likely in the works. Food may go right along with that. The feds have put up watershed signs all around here where I live to remind us who owns the water. The about 35 ft. wide creek that borders my property gets low at times and grasses and bushes start to grow. The county was bushhogging it in dry weather to keep the water flowing easily and it helped greatly in downstream flood control during really heavy rains. Now the feds have stepped in and said they can't do that anymore. No tractor allowed on their property I guess and I don't think they are concerned about what few minnows might get hurt. It's just control and it's going on all over the country. According to the tablets they took genetic splices aboard the ark and not animals two by two. Utnapishtim was of the tribe of Japthet also, making him predominantly Japanese. Of course the piece I posted, Israelites come to ancient Japan would make this at least something to consider. In the Sumerian tales, Anu, (it was actually Antu the male as told to me by some Mahatmas long ago-Sitchin had that part wrong according the eastern temples anyway) had a wrestling match on the home planet and defeated a fellow named Alalu and became king. Alalu was supposedly enraged and stole a space ship and some nuclear weapons and fled to earth claiming the planet and all the gold for himself. Gold was apparently a big deal and used to power flying saucers according to the mahabharata a 2300 year old indian tale. Sitchin says they were going to seed the atmosphere with it, which to me doesn't make much sense. I have oft wondered if the story of Alalu was not changed to satan, the guy constantine says was banished from heaven by the arch angels. In the sumerian tales, Alalu also went to mars where he was defeated by Ninurta, the son of Ninlil the one who did not care much for earthlings anyway. He said their life span was too short and getting shorter and they did not even live too long when taken back to Nibiru. In essence he wanted none of their genes in anyone becoming king back on the home planet. These cuneiform tablets fascinate me. Interesting tales and much better than this latest film. Yeah, one needs to apply a lot of discernment, if possible, with Sitchin. Others as well. Noah's Flood, the Archaeological and Geological evidence for its 3rd Millennium B.C. occurrence. (Including pictures of Noah's Ark) and it's Origins as an Amusing "Tongue-in-Cheek" Mesopotamian Farcial and Satirical Comedy! The Bible's date for Noah's Flood aligns with the Shuruppak Flood to the degree that both events fall within the 3rd millennium B.C. Archaeology revealed that the flood was local, of a flooding Euphrates river. Why then did the Bible claim falsely it was a worldwide event? Answer: The Mesopotamian myths concerning this flood claimed _falsely_ it was a worldwide event and the Bible's authors apparently accepted these traditions of a 3rd millennium B.C. worldwide flood. In a quest of a "motive" behind the false story it should be asked: Why did the Mesopotamians portray the local flood at Shuruppak as a worldwide event? Perhaps for entertainment. All cultures engage in "tall tales" for amusement. The gods are portrayed as "cowering in fear like dogs" during the flood. At its end they accuse Enlil of unjustly killing innocent humans. 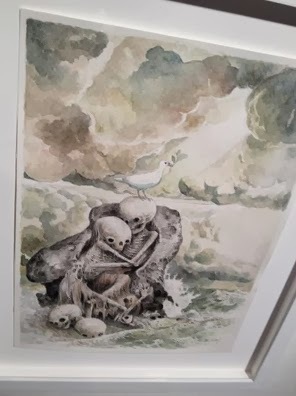 The gods are being _faulted_ by the narrator of this tall tale, they had no right to send the flood against humans just because they were noisey and disturbing Enlil's rest. The Hebrews, objecting to this "storyline" of an _unjust god (Enlil)_ sending a flood over a little noise, recast the story as one God (Yahweh-Elohim) who _is _justified_ in destroying man and animalkind for being evil and filling the world full of bloodshed and violence. The Hebrew "motive" is to _deny, refute and challenge_ the Mesopotomian portrayal of why the flood occurred: An unjust god, Enlil (Ellil) was held responsible for drowning untold numbers of _innocent people_ in the Mesopotamian account. After some 30+ years in tracing the "pre-biblical origins" of the Bible, I have come to realize only recently (10 May 2007), that many of the Bible's beliefs and concepts originated in Sumerian motifs and concepts some of which were authored with a sense "humor" and "playfulness." That is to say the Sumerian gods are portrayed at times as bumbling clowns and idiots! Later generations that succeeded the Sumerian civilization, including apparently the Hebrews, objected to this farcial and satirical portrayal of the relationship between the gods and of man and via a series of inversions or reversals, transformed the "original" humorous tongue-in-cheek comedy-farces into a new story of a noble ethical God who cared about man. That is to say some of what began as Sumerian farce and comedy wound up over the past 5 thousand years to being "Gospel Truth" (cf. especially my article on the mythical Noah's Flood...). – Walter Reinhold Warttig Mattfeld y de la Torre, M.A. Ed. This research is best encapsulated by the Latin Motto currently found on the money of the United States of America: E PLURIBUS UNUM, "From Many, One." It is argued that Eden's Serpent is a _recast_ of several Mesopotamian gods bearing the Sumerian epithet ushumgal (ushum = "serpent", gal = "great") meaning "great serpent" or "dragon" who were held responsible for: (1) man's creation; (2) man's being denied knowledge; (3) creating a fruit tree garden in edin/eden for man to care for on their behalf; (4) man's being warned not to eat forbidden food; (5) man's being offered forbidden food; (6) man's acquistion of "god-forbidden knowledge";(7) man's being denied immortality; (8) the removal of "man" from a god's garden in edin/eden for rebellion because of an ushumgal's actions. For the most part, what you have read here dear reader is unknown to mankind at large, although it has been published and in the scholarly literature for over 100 years, it is known only by professional scholars who are "well-read" in the Mesopotamian texts (Sumerian and Akkadian). Millions who are alive today, Jews, Christians, and Moslems are _unaware_ of the knowledge on this page and will probably remain in such a state of ignorance until their dying day. Sadly, the blood shed in the past over their religious "differences" will most probably continue to be shed for hundreds of years into the future. That one is showing up in the statistics again. When this happens usually quite a few visitor records disappear. It seems to be some type counter reset. 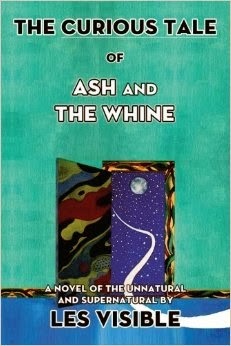 I am not knocking the story but the author gives me pause. I didn't do the html tags because you can see where he is coming from in his url compared to the actual title. And about water control, how long will we have until personal wells and rainwater collection is "illegal." I didn't go to the original source and should have. Although the ruins story may or may not be legit, the rest of what I saw at the site deserves a big pause. It seems to be christian zionist with a big dose of Israel first. I don't think Obama can tell the Israelis what to do. I won't be bookmarking the site. Here where I am rainwater collection is still OK. There are many springs that people tap into but an interesting occurrence is that many of the newly dug wells are sulfur water, more than ever before. No one has a definitive answer for why. My son-in-laws father is a renowned local water dowser. He has done hundreds and the few that came up dry he said they didn't go deep enough. He uses thin metal rods. One of the last ones he did I was there at a home building site and the only place he found close by hit water at about 60 feet. An old neighbor of mine taught me how to 'witch' using peach twigs. It seemed to work but I never got verification except that there seemed to be an underground stream that ran to my well. There's a lot of water underground here but drillers do come up empty at times. If I needed a well I would definitely use an experienced dowser. Bible prophecy has been thoroughly discredited, and anyone who promotes it is either ignorant or has an agenda. I do not object to calling a spade a spade, having some inclination that way myself, but the real modern interest in the prophets is based upon the supposition that they made remarkable predictions. These supposed predictions have been so thoroughly annihilated so long ago that it were waste of time to linger with them. We now know enough of the character of the Old Testament to understand that a large number of the prophecies were written after the event. The prophets were "redacted," like all the other literature. Prophecies were forged during some hundreds of years. In other cases, the prophet merely referred to the past; as, when Isaiah wrote some remarkable descriptions of the "Servant of God," which were for ages regarded as predictions concerning Christ, and are characterizations of Moses. In other cases the predictions were shrewd forecasts, such as we make about the weather or a baseball game; and the few cases in which the men were right have been emphasized, and the scores of cases in which they were wrong neglected. In other cases they are wrongly translated, as in the famous "Behold a virgin will conceive"; for the Hebrew word is not "virgin," but "girl," and conception by a girl was not miraculous in ancient Judea. It is now beyond question that the man who wrote Daniel, and pretended to be alive in 539 B.C. (when Babylon fell), did not live until three or four centuries later. The book is a tissue of errors, as we find by authentic documents and by reading the real Babylonian names on the tablets. Now why did the writer do it, and what was his object? Quite clearly he wanted to convince the Jews that Jahveh would miraculously protect any Jews who refused to obey a sacrilegious king. And this gives us the clue to the date. It was in the second century B.C., when the Greek king, Antiochus Epiphanes, tried to compel the Jews to break their law. A pious Jew, probably a priest, then wrote this book: very clumsily, as in the course of three centuries the facts and names had been forgotten. Now we have recovered the real contemporary documents, and there is no room for dispute. That site has a decent article once in awhile but will go hava nagila on you. The stones are for real however and not the only thing in Russia of megalithic proportions. Take a look at the Arkaim. Hi, Kenny, Muslims believe that Moses received the Torah, but that the Torah that we read now has been changed from its originial by the Jewish rabbis and priests. So we do not believe everything in the Old Testament (or New Testament), only that which was confirmed by God in the Quran, not one letter of which has been changed from the original revealed 1400 years ago. Thank you for that clarification Salina. It's always good to hear from the Muslim point of view on these issues. From I've read and I think from what you've mentioned is that Muslims can at times argue/debate among themselves on points and minutia as much as Christians do. Genesis’ flood narrative—or rather narratives—is the classic example used to illustrate how the Documentary Hypothesis works. There is little doubt that the narrative of Genesis 6:5-9:17 is a composite of two once separate flood stories. In other words, a later redactor has woven together two independent and different traditions of the flood narrative in an attempt to preserve them both. Yet unlike the two creation accounts where both traditions are preserved one after the other, the J creation (Gen 2:4b-3:24) following directly after P’s creation account (Gen 1:1-2:3), the two flood stories, J’s and P’s, have been skillfully stitched together to produce a single narrative—a narrative, however, that contains a number of inconsistencies and contradictions. We should furthermore not neglect to note that both sources display unmistakable similarities to parallel flood narratives from the Israelites’ earlier Babylonian neighbors, especially that of P. Such influences have long been noted by scholars, the most common of which is the flood narrative found in the Gilgamesh epic. As in the biblical account of the Priestly source, the Babylonian account also singles out a hero—Utnapishtim—to be delivered from the impending cataclysmic flood; both are directed by their respective deities to build an ark with specific dimensions; in both the P account and the account in the Gilgamesh epic, the ark lands on a mountain, mount Ararat and mount Nisir respectively; and both Noah and Utnapishtim send out a series of birds to seek out dry land (in the Gilgamesh epic, Utnapishtim sends out first a raven, then a swallow, and finally a dove). There can be little doubt that the biblical narratives were modeled on their Mesopotamian predecessors. Yes there are many contradictions. The bible simply indicates it rained for forty days. The cuneiform tablets actually provide a description that makes sense. The southern ice cap had grown so heavy it was pulverizing the base and turning it into mush. Then the cap itself slide into the ocean causing giant tidal waves and melting down. Something like this would cause immense storms and weather anomalies. It goes into such detail suggesting the Annunaki knew it was going slide off and when they warned the goddess Innana she almost missed the take off, looking around for her jewels. It recounts the story saying the news set the gods trembling and they watched from space as the pole shifted and utter chaos prevailed. Will Malaysian Flight 370 pop up this weekend, getting flown into a building, by a pilot that the Zionist MSM swears is a Russian, after all, they have the audio tapes to prove that. Can't have Crimea actually voting on leaving the Ukraine. The biblical heroine Esther, supposedly a Persian Jewess, derives from a myth about Ishtar. During the period of Babylonian exile an obsequious Esther, a "pleasing virgin", replaces a queen who has refused to parade before the king's drunken pals. Queen Esther can now intercede for the Jews. The yarn of Esther has the Jews turning the tables on a courtier who is their sworn foe. They destroy "all who would assault them" throughout the Persian empire – and this includes "both little ones and women". Esther's meek compliance prompts the king to issue an edict instructing all his female subjects to "obey their husbands"! "The book of Esther a fiction with a Persian setting; it presupposes the world of the Diaspora after 300 BC." Greg, we're thinking alike. I was just working on a short post about this. NMM, thanks for the reminder on Purim. Borrowed it. Some things tend to get mythologized fairly quickly - consider Barack Obama. It doesn't mean he never existed. The story of Esther, however, is one chapter of the OT that many scholars agree is made of whole cloth. It does show the Jews' gift for hyperbole and exaggeration, a tradition which carries on in holocaust memoirs. As for borrowed stories - my grandmother, who is from Asheville, NC, said that the stories Thomas Wolfe (also from Asheville) wrote were stories she'd heard in the area a long time before he ever published them. A lot of what passes for art depends on plagiarism. You should read A Surfeit of Jesuses! – But No "Jesus of Nazareth"
"In Did Jesus Exist? historian and Bible expert Bart Ehrman confronts the question, "Did Jesus exist at all?" Ehrman vigorously defends the historical Jesus, identifies the most historically reliable sources for best understanding Jesus’ mission and message, and offers a compelling portrait of the person at the heart of the Christian tradition. Known as a master explainer with deep knowledge of the field, Bart Ehrman methodically demolishes both the scholarly and popular “mythicist” arguments against the existence of Jesus. Marshaling evidence from within the Bible and the wider historical record of the ancient world, Ehrman tackles the key issues that surround the mythologies associated with Jesus and the early Christian movement." Here's a review Bart Ehrman's Did Jesus Exist? The “Jesus Christ” of the New Testament is a fictional composite of characters, real and mythical. A composite of multiple “people” is no one." Good work. But I'm disappointed you made no mention of the work of archaeological work of Sir Charles Leonard Woolley at Ur in Mesopotamia. Some of this is nicely summarized here by the aptly-named Assyriologist Samuel Noah Kramer of Penn U. Certainly there is ample stratigraphic evidence of widespread and destructive flooding in Mesopotamia. In at least one case, of such massive scale as to largely obliterate the civilization of that region. You've nicely tabulated the cuneiform evidence of a person with the essential attributes of the Noah of the Surat Nuh, the 71st sura of the Quran, and of Genesis, chapters six to ten. That is, a prophet, who warned his people of impending catastrophe brought on by their evil conduct, built a vessel and took the essentials to start anew. And survived the catastrophe. Like with many things, languages, genes and stories, there is an inevitable mutation through time, space and noise. The fundamental plot lines may be more stable and reliable than names or theological details that arrive to us on clay tablets from the past. 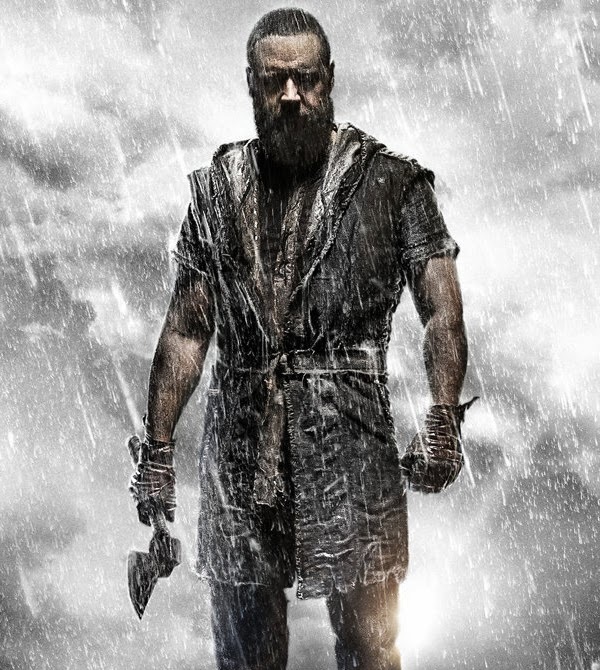 Likewise there is no specific evidence that Noah's wife resembled Jennifer Connelly. But if she did, he was a man truly blessed. To paraphrase a nice lady... History becomes legend. Legend becomes myth. And when mankind has become utterly vulgarized and soulless and lost all interest in its origins, myth becomes some hidden truth found only in unremembered dreams. By the way, you also failed to mention the recent work of Irving Finkel on translating the Simmonds cuneiform tablet, which is essentially a millennia-old instruction manual for building an ark. Of course, Finkel doesn't believe the ark was actually built. Which is fair enough. Building a boat is obviously an infeasible feat of engineering. Next they'll have us believe you can send people to the moon. Crazy talk, I tells ya. A people become misguided and depraved, a warner comes to save who can be saved, judgment is executed and the people destroyed. The only difference today is that we ourselves create the means of our own annihilation. Our damnation is to be fools mislead by fools. Fools with the means to destroy all mankind many times over. No blaming our Maker this time. And gosh, what a strangely pivotal and convenient time and place we find ourselves in. It's almost as if we've been put here deliberately, specifically, purposefully. Like some sort of game or test maybe. But that's another story. Maybe some things we think are real are not. And some things we think are not real are. And, metaphysically speaking, what exactly is the difference? "Well, you see, the advantage is you don't have to see one single one of them die. You just sit comfortably thousands of miles away from the battlefield and simply press the button." It is said, sometimes, that common sense is very rare. What does this expression mean? That, in many men, dawning reason is arrested in its progress by some prejudices; that a man who judges reasonably on one affair will deceive himself grossly in another. The Arab, who, besides being a good calculator, was a learned chemist and an exact astronomer, nevertheless believed that Mahomet put half of the moon into his sleeve. How is it that he was so much above common sense in the three sciences above mentioned, and beneath it when he proceeded to the subject of half the moon? It is because, in the first case, he had seen with his own eyes, and perfected his own intelligence; and, in the second, he had used the eyes of others, by shutting his own, and perverting the common sense within him. How could this strange perversion of mind operate? How could the ideas which had so regular and firm a footing in his brain, on many subjects, halt on another a thousand times more palpable and easy to comprehend? This man had always the same principles of intelligence in him; he must have therefore possessed a vitiated organ, as it sometimes happens that the most delicate epicure has a depraved taste in regard to a particular kind of nourishment. How did the organ of this Arab, who saw half of the moon in Mahomet’s sleeve, become disordered? — By fear. It had been told him that if he did not believe in this sleeve his soul, immediately after his death, in passing over the narrow bridge, would fall forever into the abyss. He was told much worse — if ever you doubt this sleeve, one dervish will treat you with ignominy; another will prove you mad, because, having all possible motives for credibility, you will not submit your superb reason to evidence; a third will refer you to the little divan of a small province, and you will be legally impaled. All this produces a panic in the good Arab, his wife, sister, and all his little family. They possess good sense in all the rest, but on this article their imagination is diseased like that of Pascal, who continually saw a precipice near his couch. But did our Arab really believe in the sleeve of Mahomet? No; he endeavored to believe it; he said, “It is impossible, but true — I believe that which I do not credit.” He formed a chaos of ideas in his head in regard to this sleeve, which he feared to disentangle, and he gave up his common sense. In the year 1872 one George Smith, a bank­note engraver turned assistant in the British Museum, astounded the world by discovering the story of the Flood – much the same as that in the Book of Genesis – inscribed on a cuneiform tablet made of clay that had recently been excavated at far-distant Nineveh (in present-day Iraq). Human behaviour, according to this new discovery, prompted the gods of Babylon to wipe out mankind through death by water, and, as in the Bible, the survival of all living things was effected at the last minute by a single man. The spectacular stone monument clearly shows the Tower and King Nebuchadnezzar II, who ruled Babylon some 2,500 years ago. In the inscription, the standing figure of Nebuchadnezzar II is portrayed with his royal conical hat, holding a staff in his left hand and a scroll with the rebuilding plans of the Tower (or a foundation nail) in his outstretched right hand. The inscription also depicts the Tower of Babel from a front view, "clearly showing the relative proportions of the 7 steps including the temple on the top," the Schøyen Collection stated. The Creation Story, with which the Book of Genesis opens, is incoherent, discrepant, and intrinsically absurd, as we shall attempt to show. It is also discordant with the plainest truths of Science. The Creation Story of the Bible cannot be considered as anything but a Hebrew myth. Scholars have abundantly shown the absurdity of supposing that Moses wrote it. Doubtless, as a piece of traditional mythology, it is very ancient, but it cannot be traced back in its present literary form beyond the Babylonish captivity. The Bible story of the Deluge is at once the biggest and the most ridiculous in the whole volume. Any person who reads it with the eyes of common sense, and some slight knowledge of science, must admit that it is altogether incredible and absurd, and that the book which contains it cannot be the Word of God. This story of Noah's Flood is believed still because people never examine what is taught them as the word of God. Every one who analyses the story must pronounce it the most extraordinary amalgam of immorality and absurdity ever palmed off on a credulous world. "The huge heap, in which bricks, stone, marble, and basalt, are irregularly mixed, covers a surface of 49,000 feet; while the chief mound is nearly 300 feet high, and from 200 to 400 feet in width, commanding an extensive view over a country of utter desolation. The Tower consisted of seven distinct stages or square platforms, built of kiln-burnt bricks, each about twenty feet high, gradually diminishing in diameter. The upper part of the brickwork has a vitrefied appearance; for it is supposed that the Babylonians, in order to render their edifices more durable, submitted them to the heat of the furnace; and large fragments of such vitrefied and calcined materials are also intermixed with the rubbish at the base. This circumstance may have given rise to, or at least countenanced, the legend of the destruction of the Tower by heavenly fire, still extensively adopted among the Arabians. The terraces were devoted to the planets, and were differently colored in accordance with the notions of Sabæan astrology... Merodach-adan-akhi is stated to have begun it B.C. 1100. It was finished five centuries afterwards by Nebuchadnezzar, who left a part of its history on two cylinders, which have lately been excavated on the spot, and thus deciphered by Rawlinson. The Temple of Jupiter Belus with its tower was partially destroyed by Xerxes b.c. 490... A part of the edifice still existed more than five centuries later, and was mentioned by Pliny. But the other part was, in the time of Alexander the Great, a vast heap of ruins. He determined to rebuild it, but desisted from the enterprise, when he found that ten thousand workmen could not remove the rubbish in two months. Benjamin of Tudela described it in the twelfth century, after which, for more than six hundred years, it remained unnoticed and unknown. The ruins were rediscovered by Niebuhr in 1756; subsequent explorers more accurately described them; and they were thoroughly examined, and their monumental records deciphered, about thirty years ago. The Bible is a strange book, and they are strange people who believe it. Thanks for that extract from the talented George William Foote. The only part I didn't like was where he quoted MM Kalisch, who presented actual factual content. It made my brain hurt, with all its enlightening vividness, colour and detail. Facts and research take up valuable time that could better be used for vacuous bigotry. Kalisch is not the only culprit. There are myriad people, Assyriologists, Mayanists, geneticists among others, who waste literally years gathering and interpreting factual data. Some people have this crazy notion that you can use human language and stories, artifacts within the realm of ideas, to infer things about our common heritage. Or use DNA to make inferences about our origins.Or cosmic background radiation. In abstract, to learn about origins from systematic study of the observable world. Can you imagine how much vacuous bigotry the likes of Irving Finkel or Linda Schele or Luigi Luca Cavalli-Sforza could write if they didn't waste so much time actually observing the world, sifting through its complexities and patiently, coherently collating their findings and improving our understanding of our world? Not only that. You can use that extra time to build up and knock down straw men and assiduously select unarmed opponents to valiantly vanquish in feats of intellectual derring-do. Oh, and because some Saudi cleric said it, clearly all Muslims believe it. Especially the Iranians. I'm quite impressed that they've managed to launch satellites and design ballistic missiles using pre-Copernican physics, replete with epicycles and such arcana. That's a whole lotta epicycles for those general relativistic corrections. Of course they could just select their scientific models using the usual criteria of descriptive and predictive efficacy, testability and minimality. But that would be just too easy for Iranian super-scientists. And obviously any revelation to mankind must be interpreted strictly literally, even when clearly intended to be metaphorical. And interpreted in isolation, without rational context or holistic reference to other passages or sources. Moreover revelation, despite being presented in a pre-scientific age, makes no concessions to the understanding of the recipients, and does not use everyday experience to illustrate a message. Also important, particularly to a Saudi, is to interpret scripture in the most selfish and misogynistic manner, even if you have to go through contortions to do so. Example: Despite the accounts of women happily and independently commanding the vehicles of their day, this must clearly mean that women cannot drive. Because, um, well, anyway... Maybe it means they can drive automatic but not manual. And you must also studiously ignore any references to just rule, as this makes the Arab tyrants look really bad. And creating worlds, just like that. Bam! Like some 22nd century video game. Surely there must be metaphysical laws against such a thing. Right? Oh, and irony is also forbidden, of course. "Je meurs en adorant Dieu, en aimant mes amis, en ne haïssant pas mes ennemis, et en détestant la superstition." Ah, I understand. So you don't need God? That's ok.
God can stamp us out by the billion, like bottlecaps. He doesn't need us. If you prefer, you can enter a world without God's protection. Up to you. And strange? The Bible is a chaotic assemblage from many ages. Strange but also fascinating. And says something about our origins. Strange people? What do you prefer? Ordinary people? Who believe everything they see on CNN, trust their government, question nothing, eat their Monsanto corn flakes, put their faith in the corporations, believe the plutocrats care about them, believe their wars are just, duly take their Xanax. Those ones? Ordinary people with their petty selfishness, lack of vision and imagination, who fear to think for themselves, who fear the opinions of others more than they love the truth? Them? Ordinary people merely exist in this world. Strange people are alive. They change this implausible world and escape it. As a person who questions, you yourself are already strange. Cognitively dissident. Do you really want to go back? "The THX account is 6 percent over budget."